David Brady (aged 26) of Endwell Road, Bexhill, was found guilty of driving a Citroen car on Combe Valley Way, Hastings, on May 26 last year, without reasonable consideration for other people using the road. He was also found guilty of assault by beating at Bexhill on the same date. He was fined £300 and ordered to pay £100 in compensation. His driving record was endorsed with seven penalty points and he was ordered to pay £500 in prosecution costs. Ioan Amironoaiei (aged 24), of Church Road, Hastings, pleaded guilty to driving without due care and attention. The offence took place at Sevenoaks, Kent, on June 9 last year. He was fined £116 and his driving record was endorsed with four penalty points. Keir Cracknell (aged 57), from Heathfield Gardens, Robertsbridge, pleaded guilty to driving a vehicle at St Helens Road, Hastings, on September 9, while over the drink drive limit. He gave a blood alcohol reading of 129 milligrames. The legal limit is 80mg. The court made a community order with a requirement of 40 hours of unpaid work and banned him from driving for 40 months. Lee Crouch (aged 31), of The Slides, St Leonards, pleaded guilty to being in possession of a quantity of cocaine. The offence took place at Pelham Place, Hastings, on April 30 last year. He was given a one year conditional discharge. Paul Dyer (aged 30), of Jevington Gardens, Eastbourne pleaded guilty to six charges of making off without paying for petrol worth £270.95. 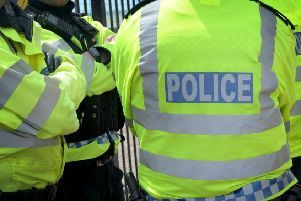 The offences took place in October and November last year at Tesco, in St Leonards, Pevensey Service Station, Ridgeway Service Station, Hastings and Glyne Gap Service Station, Bexhill. He was given a two year conditional discharge and ordered to pay £270.95 in compensation. Israel Udi (aged 21), of Latona Road, Peckham, London, pleaded guilty to two charges of being in possession of crack cocaine and heroin with intent to supply. He was found to be in possession of 58 wraps of crack cocaine and 35 wraps of heroin at Hastings, on August 7 last year. He also pleaded guilty to being in possession of a quantity of cannabis and being in possession of a lock-knife on the same date. He was committed to Lewes Crown Court for sentencing. The court also made an exclusion order banning him from entering Sussex. Lynsey Stevens (aged 29), of Parker Road, Hastings, pleaded guilty to driving while disqualified. The offence took place at Parker Road, on December 16. She also pleaded guilty to driving with no insurance on the same date. She was fined £100 and her driving record was endorsed with six penalty points. Lee Haffenden (aged 27), of Springfield Road, St Leonards, pleaded guilty to driving a Ford Focus on North Terrace, Hastings, on August 23 last year with cocaine and cannabis in his blood stream. He also pleaded guilty to driving without insurance, a licence and valid MOT certificate. The court made a community order and he was fined £50 and banned from driving for three years. Danny McGee (aged 42) of Abbey Road, Pilton, Devon, pleaded guilty to using threatening behaviour and being in possession of a quantity of cannabis. The offences took place at Holmesdale Gardens, Hastings, on December 6. He was fined £160. Mark Wenham (aged 36), of The Green, St Leonards, pleaded guilty to failing to stop after an accident in Amherst Road, Hastings, on December 12, in which damage was caused to two other vehicles. He also pleaded guilty to driving without due care and attention. He was fined £500 and banned from driving for six months. David Deeprose (aged 66), of Eversley Close, St Leonards, pleaded guilty to driving a Smart Car, on The Green, at Sedlescombe, on December 18, while twice over the drink drive limit. He gave a breath alcohol reading of 70 microgrammes. The legal limit is 35mg. He was fined £150 and banned from driving for three years. Kevin Woodman (aged 37), of Queens Road, Hastings, pleaded guilty to causing £540 at Hastings Magistrates Court on November 2. He was given a one year conditional discharge and ordered to pay £540 in compensation. Amy Dunne (aged 29), of Lewisham, London, pleaded guilty to driving a Ford Ka on Sedlescombe Road North, St Leonards, on December 27, while more than three times over the drink drive limit. She gave an alcohol breath reading of 112 microgrammes. The legal limit is 35mg. She was given a community sentence with a requirement of 100 hours of unpaid work and banned from driving for 25 months. Charlotte Lewis (aged 28) of Main Street, Peasmarsh, pleaded guilty to driving a Renault Clio, on Camber Road, Rye, on December 25 while more than twice over the drink drive limit. She gave an alcohol breath reading of 97 microgrammes. The legal limit is 35mg. The court made a community order with a requirement of 40 hours of unpaid work and banned her from driving for 23 months. Dean Riches (aged 58), of Nelson Road, Hastings, pleaded guilty to assaulting a police officer. The offence took place at Queens Road, Hastings on December 26. He was fined £120.